In The Book of Self a Thesis on Energy and How it Interrelates you touch upon many things, but one thing that stood out for me is the idea of sound and color being a language. How did you come across this idea? How I came across the idea and came to embrace it, was through ruminating over life along with the functionality of that, which comprises life. All sacred texts or teachings speak of or allude to universe being created by command such as: “let there be light.” And what scientists refer to as,”the big bang.” Light, colors, and sound are entirely based on vibration. The vibration is the language that gives command to universe. All that there is and will be moves in respect to vibration forming what we refer to as creation. The Book of Self: A Thesis on Energy and How It Interrelates urges on the importance of following one’s intuition. Why do you think this is important today? Intuition is more than a phenomenon. It is divine communication, which I liken to the wireless anatomy of the mind; giving expression to “follow your first mind.” More importantly intuition is never wrong. And when intuition is not followed the consequences never fail to evoke regret or to be adverse. Intuition must be followed today to save life as we know it and to get it to be what it should be. 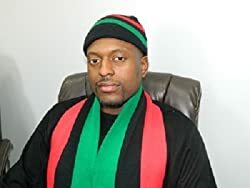 Intuition must be followed for individual peace on a personal level; so the individual can live with themselves and for peace to reach a collective global level. We must remember the outside is only a reflection of the inside. I think you illustrate how to properly treat life as the gift it is. What is one common misconception you think most people have about life? Number one misconception is that life is hard. Life itself is not against anyone. Life becomes hard, when we go against nature. 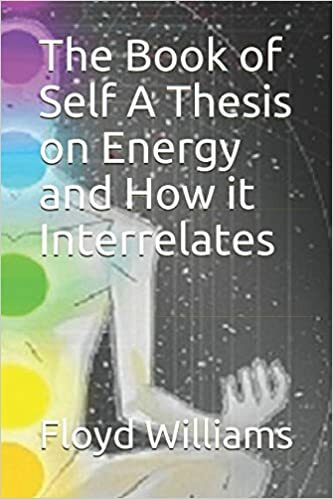 The Book of Self A Thesis on Energy and How it Interrelates, is all about revealing man’s full potential and power, as well as, enhancing one’s relationship with self, and the planet. This can only be accomplished through an understanding of energy. The word self, when it is used entails all of life seen or unseen. So, in The Book of Self A Thesis on Energy and How it Interrelates the oneness of life is asserted. The higher mysteries of life are made simple and plain.